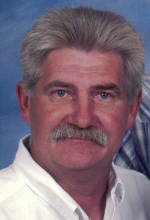 Dean W. Stark, age 65, of Marshall, WI, died peacefully at home on Wednesday, April 3, 2019. Dean was born on September 30, 1953 to Delores and Warren Stark. He was a member of St. Paul’s Evangelical Lutheran Church and a life-long resident of Marshall, WI. Dean married Julie Ann Kampmeier on June 23, 1990. He enjoyed spending time with his family, playing cards/Sheepshead and playing golf. He will be greatly missed by his wife Julie, his son Casey, his dog, Louie and other relatives and friends. Dean was preceded in death by his parents. A Celebration of Life for Dean will be a potluck gathering on Saturday, April 27, 2019 at the Fireman’s Park in Marshall from 1:00-4:00 PM. The family would like to extend a heartfelt thank you to Agrace Hospice. To send flowers or a remembrance gift to the family of Dean W. Stark, please visit our Tribute Store. "Email Address" would like to share the life celebration of Dean W. Stark. Click on the "link" to go to share a favorite memory or leave a condolence message for the family.